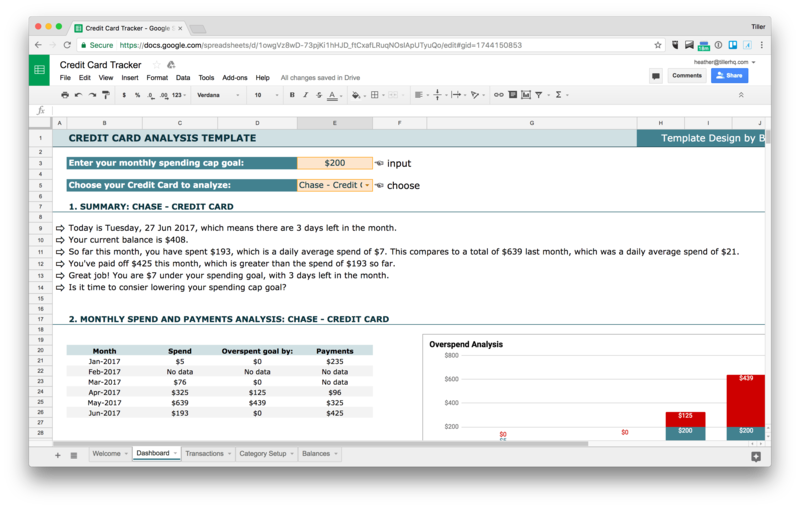 If you'd like to track and analyze your credit card spending learn about your template options. Choose the Ben Collins Credit Card Tracker template. Quickly understand your credit card spending. Setting a spending cap goal. Understand where you’re spending with credit cards, how it compares to previous months, and where and when you’re overspending. Transactions automatically added each day. Comprehensive credit card spending dashboard. Review spending for all or a single credit card account. Review a daily summary of your credit card spending. Visualize your spending compared to previous months. Visualize where and when you’re overspending.